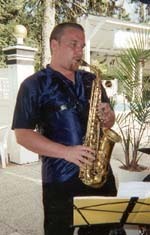 North Country native saxophonist Keith Pray has been performing professionally since the age of 16. During his career, Keith has had the opportunity to perform in many different genres and with hundreds of professional groups. Keith has performed with Benny Golson, Mark Vinci, Temptations, Empire Jazz Orchestra, Alex Torres' Latin Kings, Cole Broderick Quartet, Caged Monkey, L.O.S. and many others. 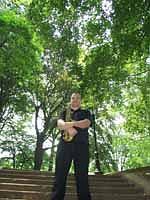 Beginning his saxophone studies at age 15, Keith went on to study music at Schenectady County Community College studying with Bill Meckley, Brett Wery and John Aasmunstad. After two years he transferred to the Crane School of Music (SUNY Potsdam) and studied with Robert Faub and Brett Zvacek. After receiving his degree, Keith began honing his skills in the Capital District. After 4 great years Keith decided it was time to move on to New York City. Living the last 3 plus years in Queens, Keith has finished his masters degree in Jazz Performance at the Aaron Copland School of Music. It was here that he was able to study with Antonio Hart, Mark Vinci, Sir Roland Hanna, Michael Mossman and Todd Williams. Keith recently released his first CD under his own name entitled "Rhythm of the Blues". He is currently teaching and performing around the Northeast, including several regional festivals, most recently the Freihoffer's Jazz Festival at SPAC.